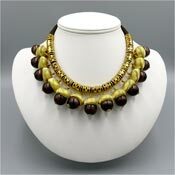 A fabulous find from the famous Trifari Waterfall set! 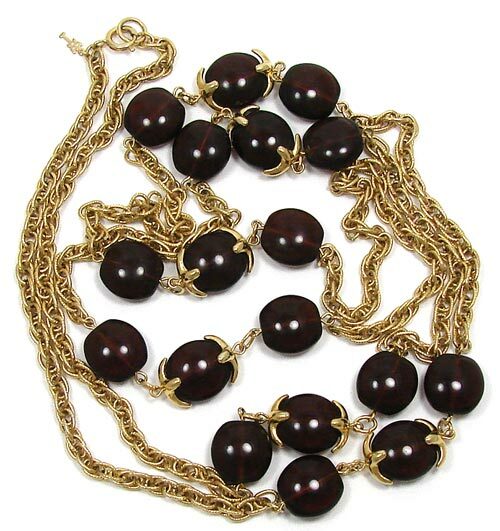 This is a 54 inch long necklace with root beer lucite beads and gold chain. 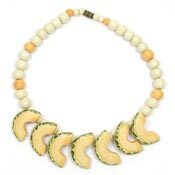 It is from the same set as the Waterfall necklace worn by Meryl Streep in The Devil Wears Prada. 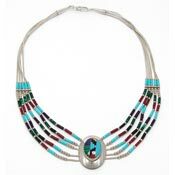 Wear it long or loop it for a different look. 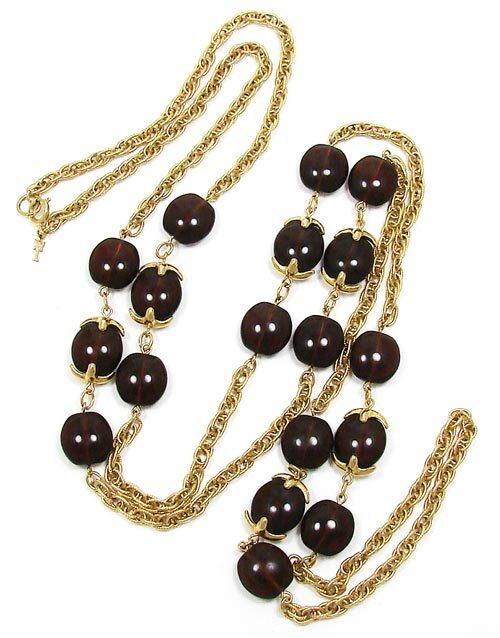 Eighteen lucite beads with decorative textured gold chain. The Crown Trifari hangtag is present at the clasp. A true Trifari collectible. In fantastic condition. 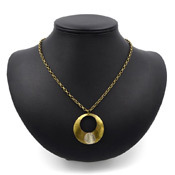 There is very little wear and the gold chain is nice and shiny. Measurements: approx. 54 inches long.